In addition to carving a niche for ourselves in sourcing and supplying scientific equipment and electronic devices, we have also created huge client base for our offered range of LED Tree. Designed and crafted to enhance the decor of outside space of various kind of establishment, these trees can also be used to gain attention of audiences during advertisement and allied events. Available in various shapes, sizes and colors, these are offered at most competitive prices to our valued customers. Leading Importer of 5 kva diesel silent portable genset, electrical generator, diesel silent portable generator, 3.2 kva diesel silent portable, gasoline generator sets and gasoline generators from Nagpur. 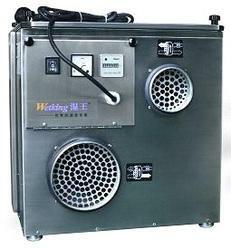 In our list of sourced and supplied products, we also have distinctive range of Industrial Dehumidifier, which is sourced from reliable and named vendors of the industry. Our vendors ensure that the complete range is specifically manufactured using optimum quality raw material and with the aid of advanced techniques in compliance with industry defined standards. Further, its flawless elegant design with high performance and effectiveness makes the range ideal to be used in different kind of industries. It is due to the unending efforts of our professionals that we have achieved a notable position in the domain of sourcing and supplying high performing range of Industrial Humidifier. Precision engineered, these provide efficient solutions to problems related with moisture & biodegradable products during their prolonged storage periods. The range is designed with such techniques that it produces small water droplets which evaporate into the air before hitting the floor, thus creating a dry fog that help in maintaining the required temperatures. We are a reliable name in sourcing and supplying highly quality LED Display Board. Designed and manufactured in accordance with the changing trends and technological advancement, our range is known for effectively meeting the business promotion demands of varied industries. Further, the video playback options of these displays allow playing various video signals, switching to different video sources at any time, zooming in and zooming out of the picture or video cut operation. Sourced from some of the promising manufacturers of the industry, the range of Ultrasonic Multi Humidifier that we offer to our clients helps to increase humidity, controls moisture level in the air & spreads the humidified air consistently throughout room. Technologically advanced, these humidifiers are manufactured using high grade raw material and components by our vendors. The complete range comprises Wall design humidifier (HD 906), Home Humidifier (HD 901), Wet Film Humidifier to name a few. Leading Importer of ntc 3.5 kva diesel genset, ntc 5.5 kva diesel silent portable genset, ntc7000 va output diesel silent portable generator set, 10 kva diesel generator with halogen lamp pole, silent diesel generator ntc-3000ds and silent diesel generator -ntc9000ds from Nagpur.